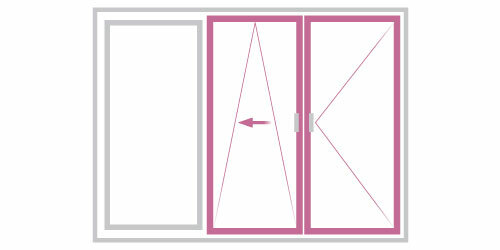 Tilt & slide patio doors PVC Nagode feature versatile designs, the possibility of glazing large openings, easy handling, and great thermal insulation. 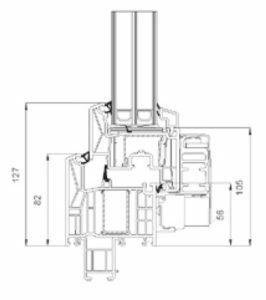 With tilt & slide patio doors you can glaze large openings, ranging from 140 to 250 cm in height and from 160 to 300 cm in width. 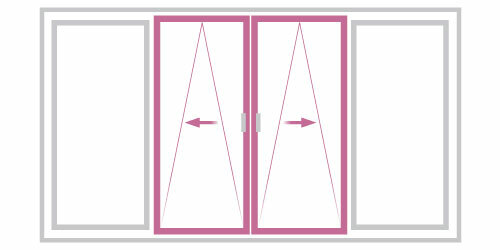 In line with your wishes and needs, you can choose between PVC and ALU profiles of tilt & slide patio doors. 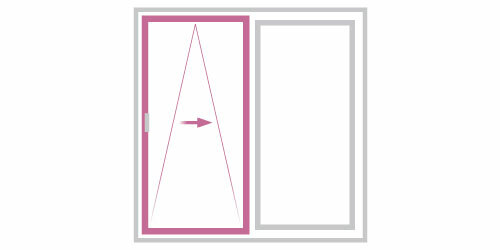 Beside tilt & slide patio doors, PVC Nagode also manufactures lift & slide patio doors. 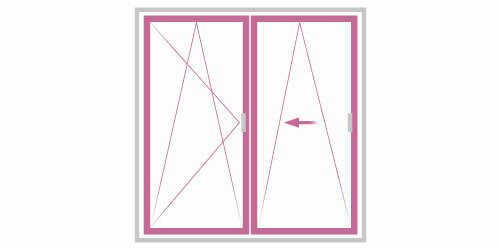 Tilt & slide patio doors are available in five- and six-chamber versions. 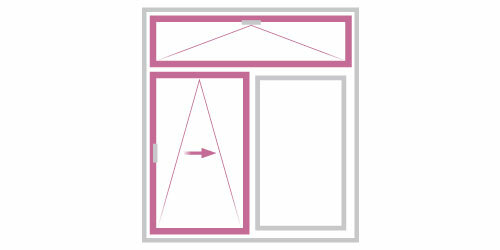 The PVC threshold is protected with aluminium, which makes our patio door frames even more durable. 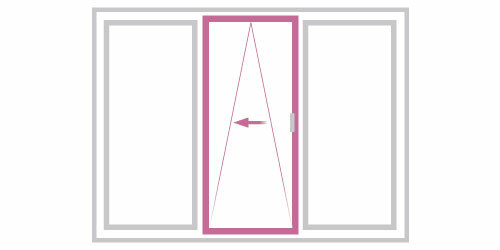 The main advantage of tilt & slide patio doors is that they do not take up much space, making them suitable for installation in small rooms as well. 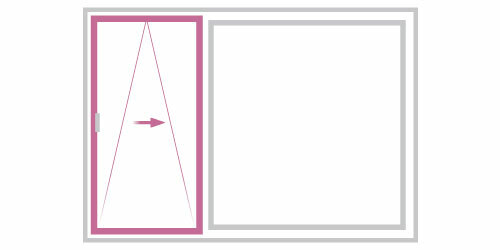 The tilt position provides good ventilation. 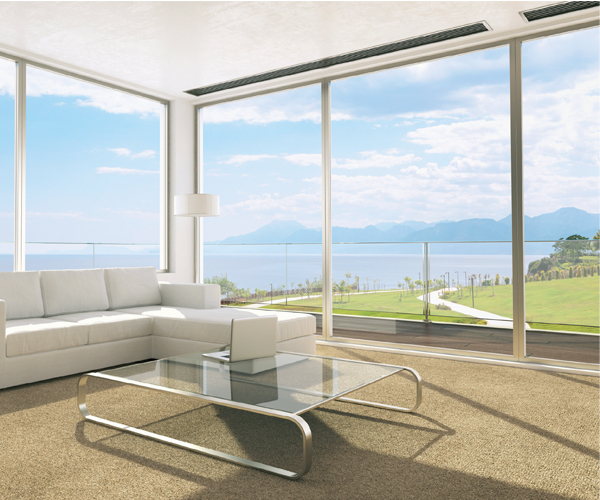 When choosing patio doors for your home, it is important to decide for a suitable frame as well as for the right type of glazing. Attractive patio door handles made of various materials. There are also lockable versions available. Shading systems not only ensure privacy in the evening but also help to prevent overheating inside your house in the summer. Insect screens protect you from insects and make sure you sleep peacefully through the night. They also improve the appearance of your patio doors.